I did it! 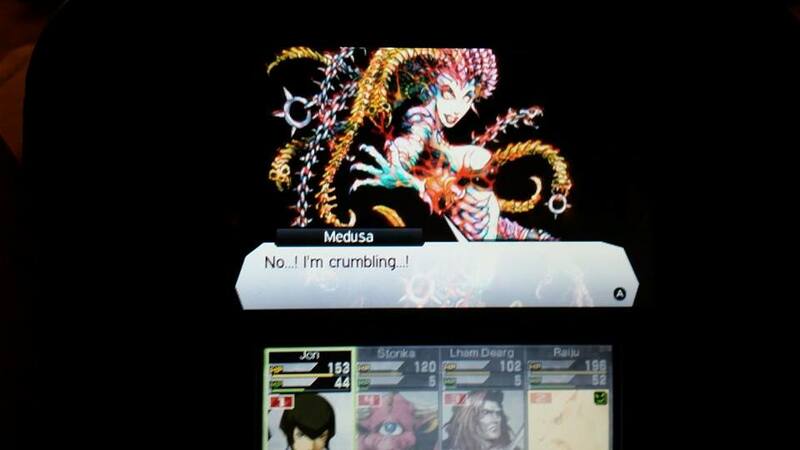 I finally conquered Medusa in Shin Megami Tensei IV! I spent maybe an hour or two grinding in the area around the boss fight split up over the past week and finally managed to get powerful (and lucky) enough to defeat Medusa. 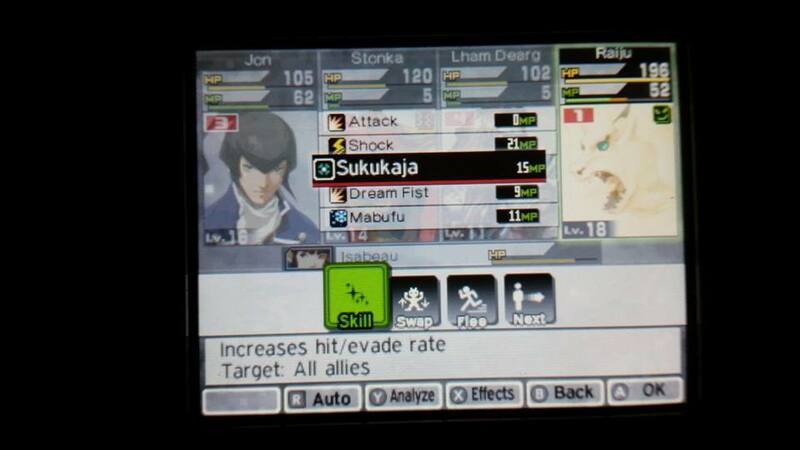 Raiju’s sukukaja spell which increases hit and evade for your entire party, proved critical to my success. Quite a few of Medusa’s attacks missed after casting it and I was able to use critical wave with my other three party members to quickly knock down her HP and win the fight. After defeating Medusa I descended into the forbidden lands below, otherwise known as Tokyo. I was quite shocked to find that the game changes quite a bit once you arrive in Tokyo. I’ve spend something like ten hours in the game so far, so to have a mechanic completely change that far into the game is somewhat strange. Instead of exploring the area by selecting locations from a list, you’re presented as an icon on a top down map and you move the icon around to find people to talk to and locations to explore. 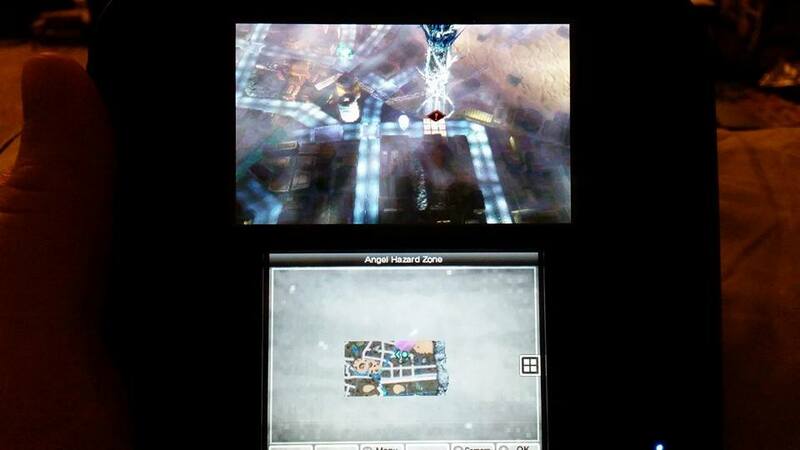 There are monsters roaming around the map as well, however you cannot hit ‘X’ to strike at them (causing a preemptive strike) like you can while exploring a dungeon. It’s a little odd, and will take some getting used to. Shortly after arriving in Tokyo I saved the game and decided to check out Persona 4 Golden (also by Atlus) on the Playstation TV. 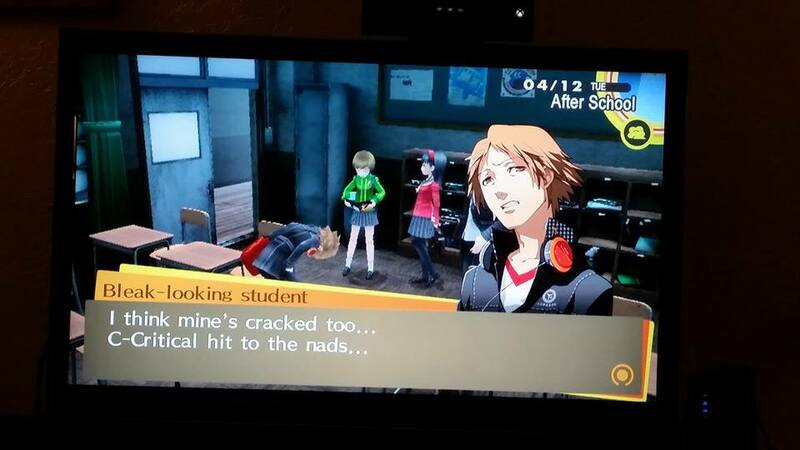 Just as with Shin Megami Tensei IV, I’m going into Persona 4 knowing absolutely nothing about the Persona series. After spending twenty or thirty minutes with it so far, I can say I’m a little weirded out but strangely curious at the same time. 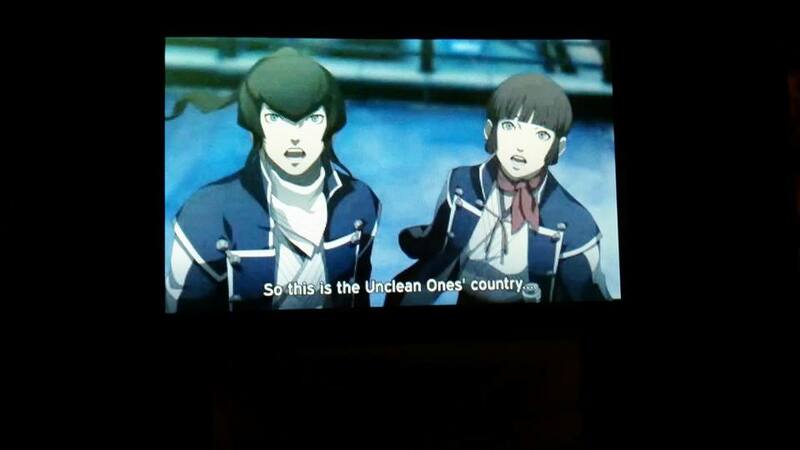 Persona 4 definitely feels more ‘Japanese’ or anime like than Shin Megami Tensei IV, at least from the start. 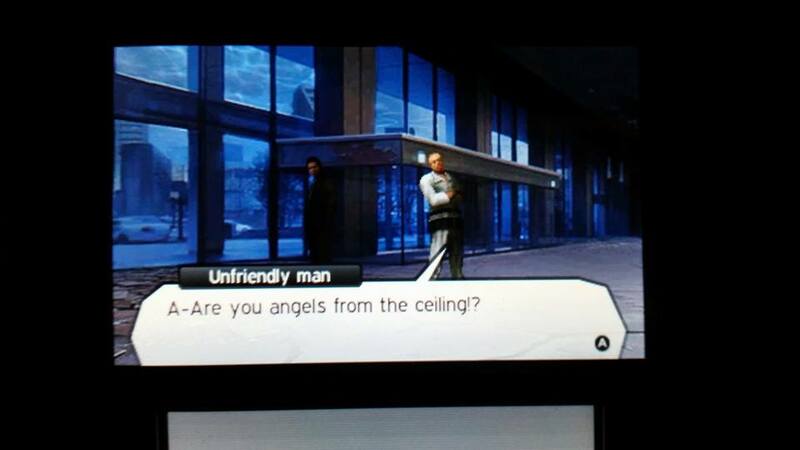 Some of the dialogue is downright weird, and I’m not sure how much of that is from the localization of it or if the source material is just as awkward. So far I can say that the game is very dialogue heavy and I’ve spent hardly any time in control of my character. I assume that this is because the story is just getting set up, but I hope there’s more to the game than just ‘high school simulator’. I’m looking forward to further exploring Persona 4, but for now I think I’m going to check out Dying Light. 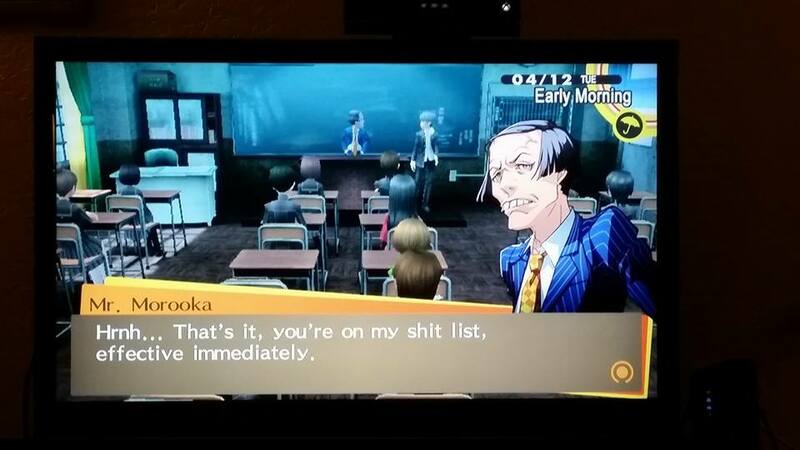 If you have any advice for a newbie heading into Persona 4, feel free to leave it in the comments! This entry was posted in Video Games and tagged awkward, beat medusa, dialogue, Medusa, Persona 4, Persona 4 Golden, Playstation TV, Raiju, Shin Megami Tensei IV, sukukaja, tokyo. Bookmark the permalink. Ҡeep thiѕ going ρlease, great job!